All Ethiopian Union Party (AEUP)’s president Abebaw Mehari told that one of the party’s higher official, Dagne Alemu, found dead in Addis on Sunday, August 10, 2014. 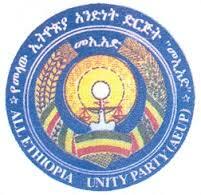 Dagne Alemu has been working as finance affairs head of the party at the Kolfe area, Addis Ababa. Ato Dagne’s body laid to rest today. Minilik Hospital that undergoes the autopsy has told the party officials that it needs a month’s time to issue the result, Abebaw Mehari said.